Digitization help student to explore and study their academic courses online, as this gives them flexibility and scheduling their learning at their convenience. Kidsfront has prepared unique course material of Mathematics Statistical for NDA Exam student. This free online Mathematics study material for NDA Exam will help students in learning and doing practice on Statistical topic of NDA Exam Mathematics. The study material on Statistical, help NDA Exam Mathematics students to learn every aspect of Statistical and prepare themselves for exams by doing online test exercise for Statistical, as their study progresses in class. Kidsfront provide unique pattern of learning Mathematics with free online comprehensive study material and loads of NDA Exam Mathematics Statistical exercise prepared by the highly professionals team. Students can understand Statistical concept easily and consolidate their learning by doing practice test on Statistical regularly till they excel in Mathematics Statistical. Find the mean of the first 6 prime numbers? Solution Is : Mean proportion = √ab here, a=121 and b= 0.09 So, Mean proportion = √121*0.09 = √121/100 * 9/100 √11*11/10*10 * 3*3/10*10 = 11*3/100 = 33/100 = 0.33. 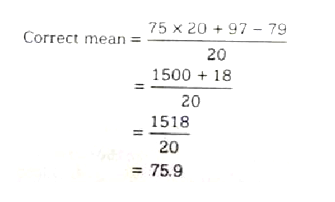 The mean value of 20 observation was found to 75, but later on it was detected that 97 was misread as 79. Find the correct mean. Given the mean of five numbers is 27. 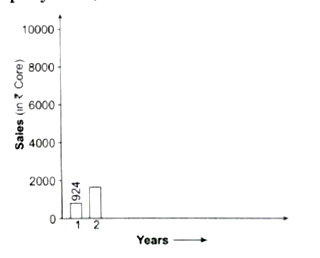 If one of them is excluded , the mean gets reduced by 2. Determine the excluded number.